These general conditions apply to all offers and agreements between the buyer and JRZ Suspension Engineering of any kind, and the resulting commitments. Deviations can only be agreed in writing with www.jrzsuspension.com. Under these conditions the customer shall mean the Client or the person who enters into an agreement with www.jrzsuspension.com or wants to enter, or for whom www.jrzsuspension.com a tender or a delivery made, as co his successors. Deviations can only be agreed in writing with www.jrzsuspension.com. If any provision of these terms and conditions for any reason whatsoever not valid applicable, conditions remain in force for the rest. JRZ Suspension Engineering is entitled from time to time the overall sales, delivery and payment conditions change. These will be published on www.jrzsuspension.com. All prices and rates are in Euro excl. 21% VAT., excl. works Uden the Netherlands. 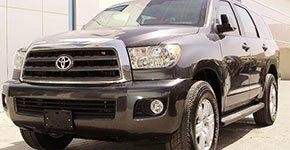 Prices are based on the offer at current prices, rates, wages and taxation, duties, charges, fees etc. In case of increase of any of these costs factors JRZ Suspension Engineering is entitled to the increase accordingly. Such an increase does not entitle the buyer to terminate the contract. The shipping costs will be calculated by country, and displayed in the shopcart. JRZ Suspension Engineering determines the mode of transportation, shipping, packaging and the Shipping / transport of goods is always charged to the customer. The customer is liable for all direct shipment delivery to check for defects such as damage and / or incomplete. In case of damage or missing packages, this should always mentioned directly to the carrier to be recorded and reported to JRZ Suspension Engineering. If the damage or missing packages after delivery is found, it should be completed within a period of 5 days to be reported to the carrier. The claim must be accompanied by an indication of delivery or invoice number of the shipment is sent. After receiving endorsement for the customer is deemed to have approved the shipment. If and when the complaint is justified by JRZ Suspension Engineering, JRZ will, at its discretion and within reasonable time, either repair the defect or replace the defective goods, without the customer being entitled to any compensation whatsoever . The complaining relieve the customer from its commitments towards JRZ Suspension Engineering. You'll receive an orderconfirmation by mail. You'll receive shipment information by mail. You'll the invoice by mail or/and by post. 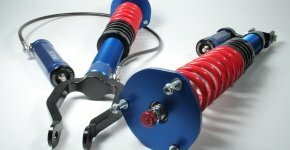 If desired items are in stock, JRZ Suspension Engineering aims to secure the order within the max of three working days. Are the desired items are not in stock, JRZ Suspension Engineering contacts you the within 3 working days. When you ordering from some countries outside the EU en the order will be delivered outside the EU, the prices are excluding VAT. You will receive a Proforma Invoice, with the shipping costs, by email, after confirming the order. Your order will be shipped, after receiving the payment for this Invoice by Bank or Creditcard. The warranty does not apply if the defects have been fully or partially resulting from incorrect, careless or improper use, use for non-standard applications including racing purposes, external causes, such as fire or water damage and ignoring service schedule. Several products come with manufacturer's warranty. The cost for shipment to JRZ Suspension Engineering be borne by the customer. Unstamped goods are not accepted. The customer is responsible for damage or loss during transport to JRZ Suspension Engineering. This can not be recovered from the transport insurance of JRZ Suspension Engineering. The shipping of the exchange or repaired product to the customer on behalf of JRZ, provided that the defective items are. Returning the wrong product(s) can only be delivered prior written permission of JRZ Suspension Engineering (see contact at www.jrzsuspension.com). Items can be returned only if they are original and undamaged condition, in undamaged original packaging and complete. Under the law complain, you can receive your money back within eight days after purchase. This is not true for items which according to specifications given by the customer are manufactured. JRZ Suspension Engineering is never obliged to pay the direct or indirect damages resulting from or caused by defects in goods or services or not, late or incorrect operation of its supply or goods and / or services , except in cases of intent or gross negligence of JRZ Suspension Engineering. JRZ Suspension Engineering is not liable for its employees and / or third parties engaged by it to the buyer or third party damage, for whatever reason or any cause whatsoever, except in cases of culpable intent or gross negligence JRZ Suspension Engineering. In no case extends the liability beyond the coverage of the insurance taken by JRZ Suspension Engineering. For damages of any nature whatsoever, arising or resulting from incorrect, careless or improper use, or use for other purposes than normal by JRZ Suspension Engineering goods is not liable JRZ Suspension Engineering. The customer indemnifies JRZ Suspension Engineering and its employees against claims by third parties as compensation for material and moral damages, directly or indirectly caused by (used in) provided by JRZ Suspension Engineering. JRZ Suspension Engineering liability under the agreement with the customer in all circumstances be limited to the invoiced amount of the contract excluding VAT. 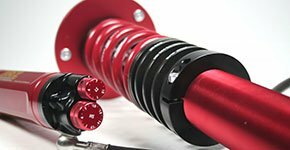 If desired items are in stock, JRZ Suspension Engineering aims to secure the order within the max of three working days. Delivery is not later than 30 days after ordering. Are the desired items not in stock, JRZ Suspension Engineering contacts you the next working day. An item may be cancelled up until written order confirmation has been processed. Once written order confirmation has been processed, the buyer is responsible for payment. Any complaints about items or sellers may be sent to our support team: info@jrzsuspension.com. There is no guarantee of a resolution. Each case will be looked at individually, and the seller will be in contact as well.